In this months blog Mike Hennessey from Audio T Manchester gives the inside track on his vinyl collection. Be warned, some of the cover art may make you feel a bit queasy. It’s pretty fitting that the first record I ever bought was a NOFX album. 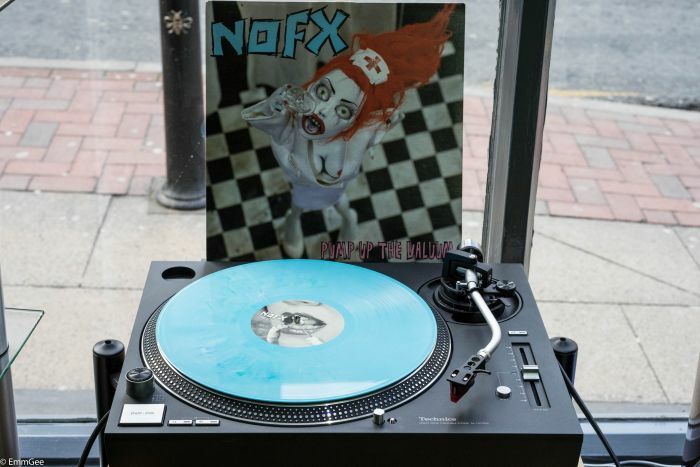 As you will see, I’ve bought a lot more since then but back when no one wanted records, this would have been purchased in 2000, it was easy enough to pick up the coloured first pressings from NOFX. Oldest Record I Own? Mary Poppins soundtrack. This one I inherited from my Grandad when he passed away. It came inside a Ferguson Stereogram, fortunately, not something I had to listen on. Unfortunately, at some point during a house move, I have managed to lose the bulk of the records I inherited, which was mainly Ella fitzgerald, Perry Como and The Seekers. Not exactly my taste in music but losing records is never a good thing, especially when they have sentimental value. Most Interesting Record? Pizzatramp - Blowing Chunks. This was released by TNS Records back at the end of 2016, the record was shipped in January 2017. Delivered in a hand painted and numbered pizza box, containing the album on green vinyl, a screen print of the album artwork and a slice of pizza. I varnished the pizza to preserve it. Here it is 1 year on. 54 records, not including CDs or compilations. 36x7”, 2x10”, 16x12”. 12 Albums, 1 Bootleg, 2 splits, 8 EPs, 31 Singles including a 12 part set. This one is tricky really. Not being the kind of person to part with records, any value attributed to them is purely academic. Unless of course there is something I need to buy! I’ve used the Discogs and Popsike websites to try and value what I have. I’ve included a selection as values vary depending on where you look and what extras you still have with the record et cetera. This just gives an idea of the records that have the highest priced sale on the two websites mentioned above. Smallest Amount I’ve Paid? 29p. Wild Cherry - Self Titled/Band Aid - Do they know it’s Christmas? 12” single. Both were bought on the same day from a charity shop on Hillgate in Stockport and both cost the same amount. Wild Cherry had no sleeve and has been sadly lost, which reminds me, I must keep an eye out for another copy. Any Unusual Sized Records? - Dropkick murphys live on a five. I’ve only ever encountered one unusually sized record. At the time I bought it, I don’t think I realised it was unusual. This is just two live tracks on one small record. Cardiac Address was a Pledge Music release from Sonic Boom Six, used to raise funds to get them to the Vans Warped Tour last year, it took a while but the 10” record finally arrived in January 2018. Gentleman Bandits is a re-release from TNS Records, although it is the album’s first time on vinyl. This wasn’t bought by me but as a present from my wife for Christmas. I also have at least 3 records currently on order that were purchased after Cardiac Address but I don’t have them yet, so they can’t count. They are, The Bennies - Natural Born Chillers, Harker - No Discordance, Marmozets - Knowing What You Know Now. Let’s face it, I’ll probably buy more before I finish this blog. Most Out of Place? Young Love. This is a compilation album of love songs. I bought it for a communal Valentine's dinner with friends at university. And that’s all I have to say about that. Guns N’ Roses are probably my second most collected band, so it’s a surprise to me that they haven’t appeared in this until now. These are seemingly always available but I’ve never had the funds and the opportunity at the same time. The worst part is, my brother who doesn’t own a turntable, does have a copy. Framed on his wall. Sacrilege! Although, he did bring it in to the shop for its one and only play in his possession. Thanks for reading! Rock on...vinyl! Here at Audio T Preston we are pleased and proud to say that we stock the entire British made Rega Planar turntable range, from the modest entry level Planar 1, all the way up to the range topping RP10. This is a great entry level record player for anyone starting out listening to vinyl. It's easy to set up, and you can buy with confidence knowing that you are buying British and getting the best performance you can buy at this price point. The RB110 tonearm with the Rega Carbon cartridge combination works really well together. It sounds great and is easy to use and easy on the pocket. The P1 is available in two different finishes black and white and costs just £248 and is excellent value for money. The next step up the Rega record player ladder is the P2. Whilst this turntable shares the Rega Carbon cartridge with the Planar 1, this is where the similarities end. The Planar 2 has the RB220 tonearm, which requires minimal set up to get the best from your vinyl collection. It also introduces a heavier glass platter, which increases performance. Like the Planar 1 this turntable is available in black and white finishes and costs only £375. This multi-award winning incarnation of an iconic turntable has managed to improve vinyl reproduction even further. With structural bracing top and bottom between the sub platter and the RB330 tonearm, this turntable has been the benchmark model for avid vinyl listeners for many years. The RB330 arm requires the standard set up, however for even better performance this can be purchased with a variety of Rega's own cartridges to improve sound quality. 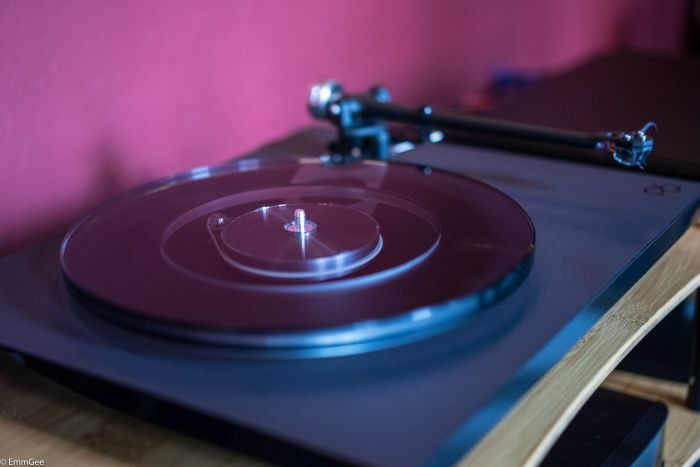 We're on hand to guide you with the set up and offer a cartridge fitting service so that your music sounds as good as this turntable can reproduce. The Planar 3 is available in black and white finishes. The newest edition to the range features the Neo PSU electronic speed change, advanced anti-vibration control and user adjustable electronic fine speed adjustment which until now was only found on the RP10. With a two tone black finish, dark matt grey at the top and high gloss black around the edges, this player looks stunning. We have our Planar 6 fitted with the Ania moving coil cartridge and the performance is outstanding. The Planar 6 can also be purchased with Rega Exact moving magnet cartridge. 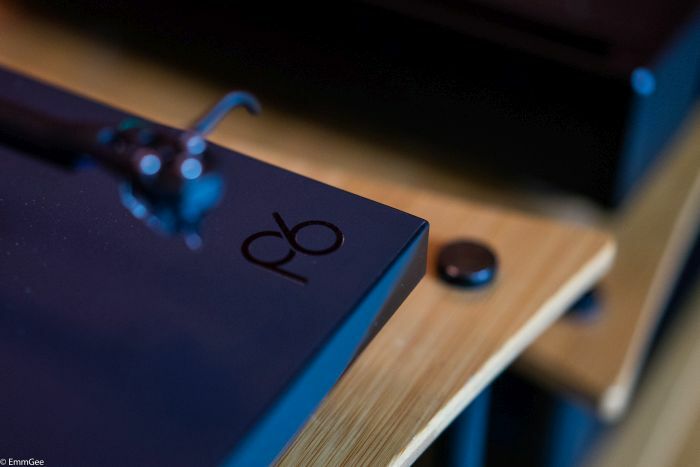 The RP8 is a ground breaking turntable which takes Rega’s design further than ever before. With low mass, high rigidity plinths combined with an electronically controlled low vibration motor, it makes this player a true force to be reckoned with. The RP8 is the first of Rega's “skeletal” design turntables with a new plinth using custom materials and the RB808 tonearm. Our demonstration RP8 is complete with the Apheta 2 MC cartridge. You can also get it with the new Ania MC cartridge. As with the RP8, the RP10 utilises the skeletal design and space age materials, however the RP10 is fitted with the RB2000 tonearm, which is simply stunning both in appearance and in performance. The RB2000 tonearm requires the standard set up (we can fit this for you) and has a ceramic platter and a dedicated power supply, which is the same size as Rega's Brio amplifier. The combination of the changes from the RP8 to the RP10 make a huge difference in performance and make this turntable the one to aspire to own. The only way to truly appreciate just how good your music on vinyl can sound, is to bring it in and take any Rega record player for a spin in our comfortable demonstration rooms. Thanks for reading and we look forward to seeing you in store soon. Audio T Manchester recently held a Rega event showcasing the new Rega Planar 6 and the brand and ever popular Rega Apollo R CD player. Chromey took up directorial duties for the event, shooting a video in the process. The Rega Planar 6 upon first glance, is noticeably different from the rest of the very successful Planar series. A two tone smoked platter, giving an almost 'floating platter' effect is the first thing you notice. We all think it looks great here at Manchester. Secondly, aesthetics, Rega have opted to go with distinctive matte finishes to identify and differentiate the Planar 6 series. Under the hood is where the Planar 6 really has come on in development Rega's signature foam filled plinth makes it the lightest deck in it's class and price point, similar to the Rega RP8 & Rega RP10, the foam plinth at this price point really is a feat of engineering. Using a brand new bearing housing design unique to the Planar 6 has had us excited, a combination of a lightweight aluminium sub platter to a matched hardness with an ultra low friction central brass hub. Using new upgraded feet with anti resonance rubber soles, it helps to keep vibration at bay. Rega have used higher tolerance bearings within the RB330 tone arm, so improving an already fantastic arm. The TTPSU has been completely re-engineered and running version 2.0, it shares similar traits to the RP10, using a hand tuned NEO power supply which matches the 24v engine that drives the platter. Check out the video below of the days events. The new Rega Apollo CD R is shown along with the new Planar 6. The new Planar 6 and the new Apollo CD R will be with us imminently, in the mean time we stock a range of Rega products here at Audio T Manchester. Why don't you pop along to the store and take a peep. Simon, Munir, Mike, Haden and Dave. Over the last year Rega have relaunched their P1, P2 and P3 turntables, the next new product is the stunning Rega Planar 6. The all new Planar 6 benefits from a single piece machined aluminium sub-platter, a new 24v motor, NEO power supply and a custom drive pulley fitted with white drive belt fitted as standard. The new Planar 6 is available without cartridge or with the superb Ania MC cartridge. It is now more an RP8 RP10 lite than an RP6! New single piece aluminium sub platter. New custom machined high precision drive pulley. Patent pending central brass hub. RB330 handmade precision tone arm with custom stainless weight. 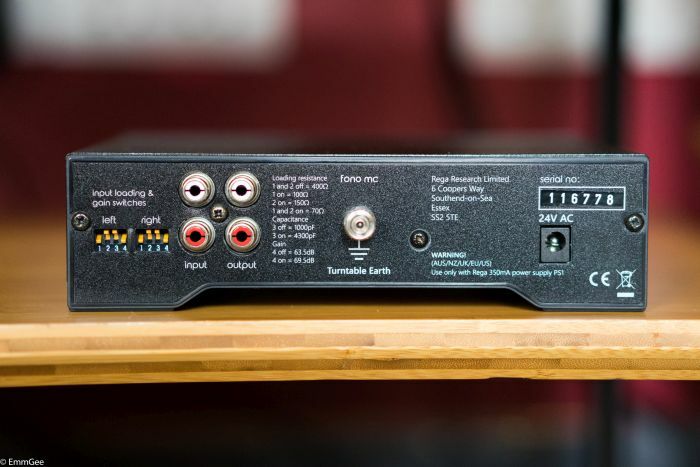 One of the best features of this turntable is its external ‘Neo’ PSU. The new Neo PSU replaces the old TT-PSU and features the DSP-based motor control from the Rega RP10's PSU. The end result is that the Planar 6 will spin at exactly the correct speed regardless of fluctuations in the mains’ current that are inevitable from any socket. The Neo PSU also gives you push-button 33 and 45 RPM speed control without having to lift the platter. We recently had the opportunity to hear the Planar 6 / Ania / Neo combination. We used the new Fono MC and an Elicit-R Amplifier. The results were truly amazing; the Planar 6 presented a very crisp, dynamic soundstage. It had great depth and incredibly low noise floor which ensured that every musician, every note had space to breathe. We found ourselves playing all sorts of music and whatever we threw at it be-it Etta James, Bob Dylan, Daft Punk or Metallica the Planar 6 was just brilliant. As you can tell we think the Planar 6 and MC Ania combination represents stunning value for money and we highly recommend you have a listen to it. To complete the package we would also recommend the new Fono MC 2017 pre-amplfiier, a brilliant compact phono stage that shares the same design of housing and case work of the Neo. The Planar 6 will be available in stores very soon, if you would like to arrange a personal demonstration please call us on 01865 765961.